Do you know how to truly listen? If you answered no, then this session is a MUST. Active listening is a critical success factor to selling and obtaining coaching success. To be a great coach and obtain clients with ease, you must always be listening to what a client is saying, as well as what they aren’t. 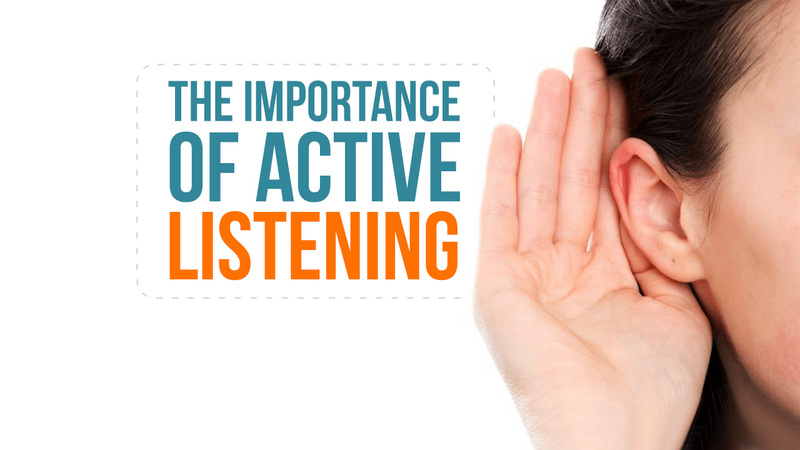 In today’s busy and competitive world, truly listening has become a thing of the past. We ask shallow questions, and while they are being answered we think of the next profound thing to say. Of course that’s if we are not also checking our phone for emails, social media updates, and that call we have been waiting for all day. If you want your clients to think you truly understand them, feel completely in control of any sales encounter, and master the ability of asking deeper and focused questions, then this session is a must! You have to be quiet to listen – As a coach you are paid to listen, understand, ask thought provoking questions, and advise. However, it all starts with listening. Many times, a coach destroys a relationship with a client unknowingly because they just don’t know when to be quiet. A client will say something, and then you hear your inner voice scream, “I know how to fix that!” or “Ask another question!” To be an exceptional coach, you must silence that screaming inner voice. You must learn to embrace the art of what Daniel Goleman in his book, “Emotional Intelligence,” describes as self-regulation. It is lonely at the top of any business and some clients just want someone to vent, brag or talk to. It allows you to listen for the feelings behind the words and the underlying message between the lines. It allows you to ask deeper, more targeted questions. Don’t be afraid of silence, as it gives people the chance to answer. So many coaches interrupt something profound because they can’t handle silence. Again, you must learn to self-regulate so a client has the opportunity to organize their thoughts, challenge their current beliefs, and view things from a new perspective. If you can’t learn to be comfortable with silence, this will greatly detract from your ability to achieve coaching success with your clients and drastically reduce your ability to convince prospects that you are the right coach to move forward with. I know it is difficult, especially when selling, however, it is a skill you must acquire. Listen attentively without interruptions – The simple act of ensuring your client feels listened to creates a physiological change within them. Their self-esteem goes up and they feel indebted to you for it. To ensure they feel truly listened to, do not interrupt them to share your own ideas. Face the prospect directly, lean forward, nod, smile, and agree. Paraphrasing in your own words – Shows the client you paid attention and were really listening. Use open-ended questions – These are questions that can’t be answered with yes or no, such as who, why, when, were, how, what and which. Go out and practice your new listening skills and notice the difference in responses you get from people when you listen well and not so well. I think you will be astounded. Hello everyone, and welcome back to Better Business Coach. My name is Matthew Pollard and, as always, I am your Rapid Growth Guy. Today I am so excited to share with you we just hit New and Noteworthy in iTunes and we did it in 96 hours. We achieved over 1000 downloads and so many wonderful reviews and star ratings – all five star ratings. I’m so excited! I want to thank each and every one of you who posted reviews and have been listening to the show. Thank you so, so much. For those that haven’t had a chance yet to post a review, we’re still a fair way down on the New and Noteworthy chart. 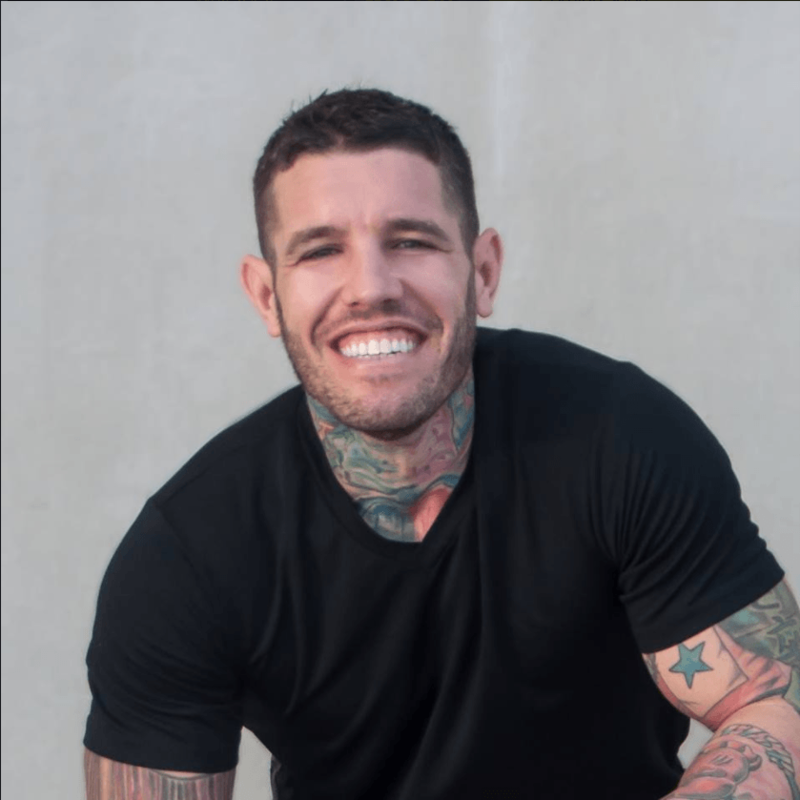 I’d love to make it to the top so that more business coaches or business owners like yourself can access this amazing content. This was truly my goal when I first launched this podcast, was to help so many people. It’s great to see in all these reviews that it really is helping people. So if you haven’t already, please take a second out of your day – it really only takes about 60 seconds – hop on iTunes, search Better Business Coach, and subscribe, and post a review with a star rating that you feel that we are worth. Thank you in advance. And look: I can’t talk enough about how much I appreciate – I really, really do appreciate – each and every one of the people who are supporting this podcast. Now, today I want to talk to you about listening, or active listening. In Session number Seven and Eight, maybe two sessions before this, we spoke about the Business Needs Analysis. And that document is unbelievable. It helps you transition a prospect into a paid weekly, monthly, yearly client. Next, it asks deep and penetrating questions to the customer, to truly unfreeze them to the possibility or the requirement – the necessity – to make change, which is a massive need, to getting your outcomes with a client that will continue to pay you continuously. However – let’s be honest – if you don’t know how to truly listen to a client, it can only go so far in helping you succeed. And it happens so often: coaches really, truly want to help people; however, when they go in and they are trying to get a paid client they think they have to be a salesperson. Not only are they uncomfortable with that, secondly, they’re being somebody they’re not. Because a “salesperson”, as they define it, is somebody that should be telling somebody. And I see this all the time. Coaches are continually telling, telling, telling people how to fix problems. What they should be doing, who they are, while they are awesome, when they forget, quite frequently, that they’ve got to listen to the client. Otherwise, they won’t know how to help them. And what’s funny is, in sales this selling is actually in the listening and in the silence, not in the telling. So you just need to relax. Selling or sales means to serve not to ram something down somebody’s throat. You can’t truly serve somebody unless you’ve listened to them and know what the underlying problems are, so that you know how to help. The first thing that I would mention is see yourself as a consultant, not a salesperson. See, a consultant has to know things in able to help their client. A salesperson thinks they need to pitch, pitch, pitch, pitch, pitch. So be a consultant. Can you imagine for a second a lawyer, if you were being sued, and you go to a lawyer and you say “I really need help, I’m being sued.” And they say “Don’t tell me anymore. This is how I’m going to help you, this is what we are going to do, let’s run into court.” And you’re like “hang on a second, you don’t understand my problem! How could you possibly help at this stage?” And it’s the same with business coaching. If you start talking about the rigmarole about how wonderful you are and all the things that you can do, even if you’re wonderful at telling stories – which I love, and I’ll teach you later about clients you helped and why you will be help them as a result – if you don’t listen and you can’t attach stories to what their unique problems are, then you’re never going to pick them up as a client. So, let’s experiment for a second. I’d love you to go out and trial really, actively listening to people, and see what difference that makes to the outcomes that you receive. And then, spend some time not actively listening to people and see if the outcomes are different. It really will amaze you because you’ll think that you listen to people, but until you truly focus on active listening, you probably won’t realise just how much information you really don’t hear, and that brings me into a wonderful quote which is by Dale Carnegie, and it is mentioned in his book How to Win Friends and Influence People in the Digital Age and that is, with Facebook and Twitter the number of people we can actually listen to is increasing yet the number of people that we do listen to is becoming smaller and smaller. And this is so true. Because we have such a wide variety of information sources now, we don’t truly stay in the moment with any conversation. We’re checking our phones, were checking Twitter, we’re checking Facebook while talking to our fiancé, our girlfriend, our wife, our husband. It just clouds everything, and we don’t truly listen. So experiment with actually, actively listening to people. And next, I really want you to focus on asking deep and penetrating questions. Because people who truly listen can ask deeper questions, because they truly understood what the person said in the first statement and can ask a follow-up question that’s a little bit more insightful. If I’m checking my Facebook or thinking about other things while you are talking, then I’m going to be forced ask a more shallow question. 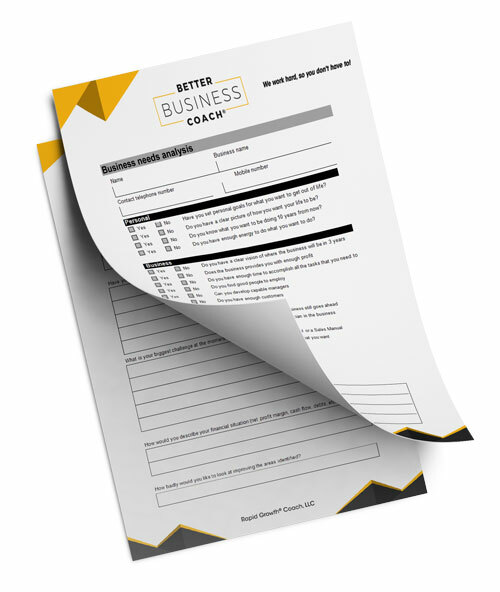 And this one thing you’ll find with the Business Needs Analysis: it forces you ask deep and penetrating questions because they’re on the sheet; however, once you move past the Business Needs Analysis, you want to be able to ask follow-up questions and especially all the worksheets that are coming to follow, you what you ask follow-up questions to show that you truly understand. Also, I want you to not be afraid of silence. As I said: selling is in the silence. Sometimes, it takes a second when somebody is asked a deep and penetrating question to formulate their thoughts. So don’t be afraid to give the customer a second, or a family member or a friend a second, to think. This is going back to the Business Needs Analysis again. A lot of the time, people freak out when there is silence because they’re supposed to be selling, and everyone hates silence in selling because, if you have silence in selling, the customer’s not buying. Well, that’s not true. What it means is the customer is having a thought about one of the questions that you asked. Maybe if you’re selling telecommunications, you know, it doesn’t require a deep and meaningful thought in a lot of times, so you can perhaps reengage them with conversation. However, in coaching, a lot of the time this may be the first time they’ve actually thought about the question that you’ve asked. It takes them a second. They may get off-put by it, and they need to really refocus themselves and say, “how I feel about that question?” or, “am I really happy?” or, “am I happy with this business?” You know, so many times, if you don’t give the customer the opportunity to truly answer, you’re missing out on all of that ammo to sell to them later. And secondly, you’re missing out on all of that ammo to understand their true requirements to help them later. So really focus on asking deep and penetrating questions, but be comfortable with the silence that you get when they’re trying to formulate their answer. And for people that don’t know anything about self-regulation or, well, emotional intelligence, I would really suggest that you spend some time looking into it. And, look, we’ll spend a session on it a little bit later on. However, a lot of the time emotional intelligence is very important when you’re listening, because you need to understand not just what the client is saying, but how they are feeling and what they truly mean, or, what’s between the words in their answer. So, if you haven’t spent any time looking at emotional intelligence, I would say Gorman writes a wonderful book on it. It is quite long and I’ll try and summarise a lot of those concepts for you very shortly. However, emotional intelligence is key with business coaching, so I wouldn’t undervalue the requirement to actually spend time mastering this art. And one of the major concepts in that art is self-regulation. While inside your head you’re in a monologue, maybe saying, “I want to say something! I want to say something!” or “oh, silence! The customer isn’t willing to buy!” trust me, it’s not true. Don’t listen to your inner monologue. Focus on the fact that you need to give them an opportunity to formulate their answer. So take a step back and relax, let the customer formulate their thoughts, and for this you need to practice self-regulation. Okay, so let’s look at the five keys to listening. First one: listen actively without interruptions. I want you to really pay attention to that. Listen actively without interruptions. So many times when somebody is telling you something, you feel that you need to add to it to make it seem like you understand, or you interrupt because you get excited about something. No. Actively listen without interruptions. Lean forward, nod, smile, and agree. You don’t have to say anything to agree. By nodding you can agree or you can say “I totally agree. Continue.” Simple things like that to show people that you’re actively listening. You will be very surprised what happens when you do this with a client. I have done this so many times and I’ll find a client’s not engaged with me and I’ll realise what I’m doing. I’m not on leaning forward, I’m not actively listening, I’m not nodding my head along with them, and as a result, I change that, and I do those simple things. And by making the client feel that I am actively listening to them, there’s a psychological change. Their self-esteem goes up and they realised that their self-esteem has gone up because of me, and they appreciate that. AND what that means is, they actively listen to me when I respond. That’s such an amazing thing. Like in neuro linguistic programming, we learn matching and mirroring, and matching and mirroring is so important in sales. However it’s so important in sales later down the track. First, actively listening and showing somebody you are actively listening will be appreciated so, so much. And what you’ll also find is, if you’re leaning forward, you’re nodding, and you’re agreeing when you start to talk, the customer will feel like they want to do the same for you because they want to give back that experience that you gave them. Brian Tracy actually says during this step, that “we must seek first to understand, then to be understood,” and that is so, so true. If you don’t understand what the customer’s truly saying, and the words behind what they’re saying, or their feelings behind what they’re saying, you may be telling them something or contributing to the conversation later and you might be doing it in a way that is not aligned with what they’re actually trying to achieve. So make sure we focus on first understanding. The next step is giving a three or five second break. Not to be ridiculous, but after they’ve finished speaking, wait three or five seconds. I know that silence will absolutely kill you some of the time. However, it shows that you valued what they said. It allows you to hear the prospect at a deeper level as well, and calculate and formulate what you’re going to say next. And it most importantly avoids the risk of interrupting the client. They may have just paused to organise their thoughts in a more substantial way or to impart something else to you. And it’s funny the amount of times I felt that a client was done, and my inner monologue was saying “talk now, talk now, talk now,” that then by holding back they then responded with something else that shocked me and it was so far different from everything else they said, and it was their true underlying problem that I then spent the next 20 sessions working on them with. And you know that a lot of money in coaching that I could have missed out on by interrupting. When you think about not putting this pause in, think about every public speaker that you’ve seen that you’ve probably identified with. I bet you will find that they pause every now and then to allow things to sink in. Think about coaches or people that you find as mentors. I bet you’ll find when they say something, or when you say something, they will allow time for that message to sink in. Now, imagine a child that you see is having low self-confidence. I’ve got a person that I have in mind and I know that any time they get a second to talk that they want to talk very, very quickly, to get their point out because they’re worried that they’re going to get interrupted, and they don’t leave any space between when I say something and them starting saying something because they’re worried that I’m not going to stop talking, or, that then I’m not going to give them an opportunity to talk. And it’s a horrible thing because when they communicate with me I honestly feel that the information they’re sharing with me isn’t important subconsciously. And it’s not because the information isn’t valuable. Some of these people that I’m thinking of grew up and now they’re very intelligent people, some of them highly paid executives. Yet, whenever they speak to me, I still feel that what they have to offer me, subconsciously, isn’t of value because they talk so quickly and are always jumping in straight away. And I feel like it’s just low self-confidence and when you do that with your clients, they’ll feel the same way. They’ll think “oh, this coach is very new at things,” or “Oh, this coach really isn’t that big thinker, and I really want coach that is a big thinker.” So think about that and make sure that you’re comfortable with silence. Sales doesn’t take place in the words that you use, it takes place in the silence and demonstrating to people that you’ve truly valued what they’ve said and you’re well-thought-out in the answers that you give them. The next one that I really like to focus on is, is I like to paraphrase what they said and use their words back to them. Sometimes when I’m selling I’ll actually write down keywords that they said. But the reason why I paraphrased is it shows that I paid attention, shows that I am really listening. And next, it also makes sure that I really do understand what they’re talking about. Because at that point they can clarify. So there are so many things that can come from paraphrasing what they said back to them. And trust me, the customer won’t say “why are they always paraphrasing me?” I wouldn’t say every single time you say “okay, so, what you said is this.” I’ve seen call center operators that clarify what you say every time you say it, and it’s so annoying. However, when they say something profound, or say something that truly uncovers one of their major problems or inhibitors, paraphrasing is really a powerful thing, because they’ll go “Wow! This person gets me.” And all of a sudden they know that you get them they will never let you go as a business coach. The final one is use open-ended questions. What I mean by this is questions that can’t be answered with a yes or no. Because it gets customers to talk more about the topic or the question that we’re focusing on right now. So you won’t do this that much in the Business Needs Analysis because, realistically, what we’re trying to do is get the highlights; however, as you’re starting to coach you want to ask questions that can’t be answered with a simple yes or no. Examples are statements or questions that start with “who,” “why,” “when,” “where,” “how,” “what,” and “which.” For instance, if I said “how, exactly, is a problem for you,” you can’t answer yes or no. And if I said “why do you think that’s a problem,” you can’t answer with yes or no. It’s not possible. And when somebody tells me about problem, I can say “who’s seen that as a problem? Is it your staff telling you about it, or is it you seeing this as a problem?” And, again, it can’t be answered by a yes or no, but it tells you so much more, because if the staff member is telling you, you may not think that you’re willing to spend a lot of money to fix the problem. If you see it as a problem, you might want to get out your wallet now and pay for it. And if I know that it is the staff, I might suggest that, you know, a staff member saying something is a problem is actually considerable issue, because, you know, staff really don’t complain at the beginning because they love their job and they don’t want to lose their job. When they start to list complaints and concerns, they’re honestly thinking about leaving because they must be unhappy enough to say, “you know what, I’m going to tell my boss I’m not happy with this.” And that’s why that question adds so much value that it just came by saying a question that starts with the word “who.” So using these – and I’ll say them again, it’s “who,” “why,” “when,” “where,” “how,” “what,” and “which” – you can’t actually physically have a question that starts with one of these that that ends with a yes or no answer. So they’re great, great tools. And what I would focus on when you’re asking questions, always start with one of these words in mind because it will help you get a lot more information out of your client and will get them to unload a lot, lot more content. And the great thing about a customer or a client unloading much more content on you is, the more content they unloaded the more work it is to get a new coach because they know that you understand them and somebody else may not. So it gives you a huge amount of power. Trust me, if you can master the art of active listening before you go out and do the Business Needs Analysis, or practice it while you’re doing the Business Needs Analysis, you will truly acquire much more clients because they will see that you understand them, they’ll see that you identify with them, and they’ll want to work with you because people really love, sometimes, just to vent, and if you ask more questions, they’ll get an opportunity to vent. Other times, they want somebody that they know truly understands them and by asking these questions you also achieve that. So, quickly to summarise the steps again: listen actively without interruption. The next is wait 3 to 5 seconds before responding to give them the opportunity to see that you truly understand, or are calculating – or percolating if you like – what they said, and also so not to interrupt them if they’re going to talk again. Question for clarification. Paraphrase what they say. And, finally, ask open questions that can’t be answered with a yes or no. else again because this is so, so important. “Who,” “why,” “when,” “where,” “how,” “what,” and “which.” These are the words you want to start every question with, and you will see the absolutely phenomenal difference this will have with your clients. Now, in the next session, I’m really excited because going to be talking about three different paragraphs you can use with your clients when you’re doing the Business Needs Analysis to transition them into a paid client. They’re very, very basic, again, as I said. 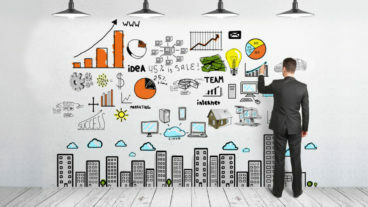 These basic ones, if you’re actively listening and using the Business Needs Analysis correctly are all you should need and it will step into some more high-level closing strategies and sales process strategies a little bit later on. But I really just want to give you the basics because, if you really master the Business Needs Analysis and the listening format, this is all you should need. Now again, guys, thank you for listening, and thank you so much for allowing me to get this podcast into New and Noteworthy so, so quickly. None of this happens without your support, and that how podcasts go to die. I’ve seen some amazing content on podcasts, audiobooks, all sorts of things that people stop doing just because nobody’s supporting them. And I hope you understand how valuable this content is to your business and how valuable it could be to other people’s coaching businesses or functional businesses, because it gives them the ability to coach themselves if they can’t afford coaching just yet. So, please, make sure that you subscribe, make sure that you post a review with the star rating that you feel that this podcast deserves, because without that, this just really wouldn’t be possible. And thank you again so, so much to the people that have already done that, and I really do appreciate it. Without you, my podcast is absolutely nothing. So with that, thank you all for listening and I look forward to seeing you in the next session. Thank you very much. Cheers.